In my efforts to chill out from intense workouts as prescribed by the doc, I have taken to a lot of walking; every day I walk for at least 30 minutes either outside with Moose, by myself, with Dana, friends, or on the treadmill. As much as I love to walk, I am in need of more, so I turned to my old friend, the yoga mat. We have an inconsistent relationship with one other but I really do miss her. My friend Kalley actually inspired me to pick it up again when she mentioned that she does relaxing yoga before she goes to bed. I thought that sounded really nice so the next night I pulled out the yoga mat and did just a short five minutes of some relaxing yoga poses. I immediately felt relaxed and fully ready for bed (which was my intention). I slept soundly that night. Last night, I did it again, but this time with a full 30 minutes of relaxed yoga (there’s actually a Yoga on Demand that I followed called Relaxing Yoga). Afterwards I felt cool, calm, and collected and I was really diggin’ this feeling. I slept amazing last night and woke up with no back pain. Now I can’t guarantee 100% that this was all from the yoga, but I do think it helped! I would really like to increase my yoga’ing again. Now, I tend to have a pattern when it comes to yoga. I will do it for a short while, absolutely love the way I feel, but then completely forget about it. Maybe because I sign up for a road race and then my focus turns to running? I’m not sure. But since I will be cooling it for a while with the intensity, I would really like to make this part of my routine again. I am officially bringing yoga back into my life. I’m debating whether or not to continue doing it in my living room using videos I find on Xfinity on Demand on TV, using Apple TV to follow yoga sessions I find online like on YouTube and such, or joining a yoga studio. The only way I would join a studio is if the classes offered fit my schedule, if it was in a convenient location so I would actually go, and if it wasn’t super spendy. I keep checking out Groupon and LivingSocial and other coupon sites, but haven’t found any yet. Any locals know of any deals happening right now? Either way I’m going to get my yoga on; for healing and for health. Namaste my friends. Happy weekend to you all! This entry was posted in Health, Misc., Workouts and tagged healing, Yoga by Melanie. Bookmark the permalink. Would you believe that I have never done yoga? With how awesome everyone says it is, I need to change that soon. Looking forward to hearing what doing it on a regular basis does for you!! I can’t believe that! I really think you would like it! At least there are a lot of yoga video options as well as online videos to keep us entertained! Definitely! Currently, I am hooked on Jillian Michaels’ DVD. It is not quite as relaxing as others (big surprise there! ), but holy cow do I feel it afterwards! Yoga is so spendy! You’d think with all of the yoga studios actually following the mentality of yoga, they’d charge a lot less 😉 I would recommend continuing to do it at home for a little while. Driving to and from yoga and having to go at a certain time due to scheduling might give you more stress than the yoga relieves! Very true very true. That’s the plan for now. Unless I can find a yoga studio super near by but I just don’t think there is much available. I would love to do a yoga class with you sometime! I am right there with you! 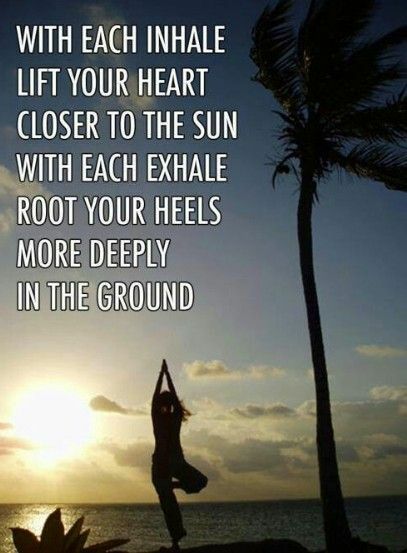 I LOVE yoga when I go, I feel more relaxed and (gasp) I think its a better outlet for stress relief than running. But then once my groupon expires my wallet reminds me I can’t continue this way on a regular basis. We should start a blog group for cheap yoga! Maybe checking the patch for your town will lead you to some free yoga sessions in a park etc? It IS such a major stress relief but my wallet totally agrees and it won’t pitch out that kind of dough for classes. I like that idea for the blog group for cheap yoga!